Gods. Always ready to screw you. When Bix the Gatekeeper is summoned from exile a hundred and seventy years early by the goddess of the Norse Under World, the former Dark Ops agent knows there’s a catch. On the surface, the terms of the deal are simple. Someone attacked the pantheon’s ambassador to the Mid Worlds and left the ambassador in a coma. In exchange for early parole, Bix must identify the perpetrator and drag their soul to Hel. It’d be a sweet contract, if not for the details. The ambassador is Bix’s ex-girlfriend, the lead suspect is the key witness from Bix’s trial, and the organization leading the official investigation is the same intelligence guild that disavowed Bix when a covert op went pear-shaped. Undeterred, Bix returns to her old stomping grounds where clues in the smoldering woods of Centralia, Pennsylvania, lead to the waterfront of Washington, DC, and Worlds beyond. Once valued for her skills creating passageways as small as a capillary or as large as a continent, Bix’s success now depends on the relationships she was forced to abandon. As she squares off against friends who betrayed her and enemies keen to destroy her, Bix follows a trail of secrets, torture, and treason that leads to the very superpowers who banished her. With her freedom on the line and revenge within reach, this highly-trained operative will take on Fates, dragons, angels, and gods to get exactly what she wants. 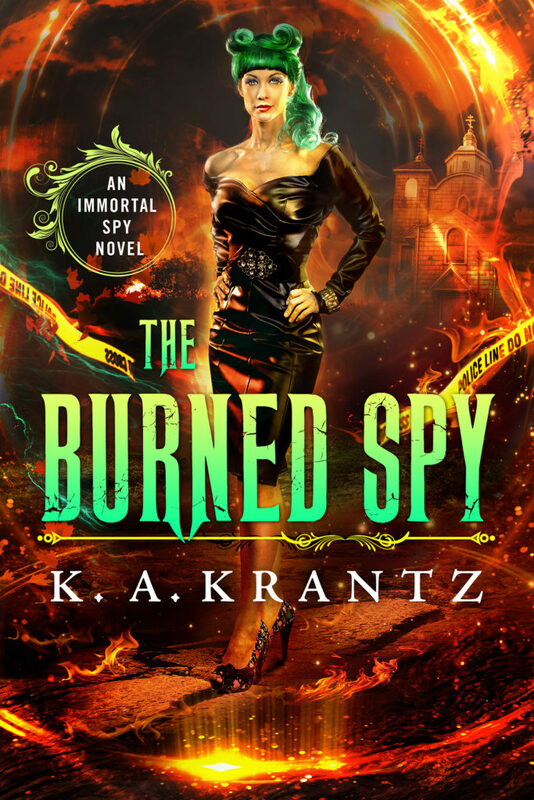 Hel hath no fury like a burned spy.